You can use Batch Plot to publish multiple sheets or drawings to Printer , PDF or DWF files. 1- Open any drawing go to layout do plot command from file menu or hit Ctrl+P key and do as excellently in below photo by order also note that the title block its same size of your drawings you want print at one time. 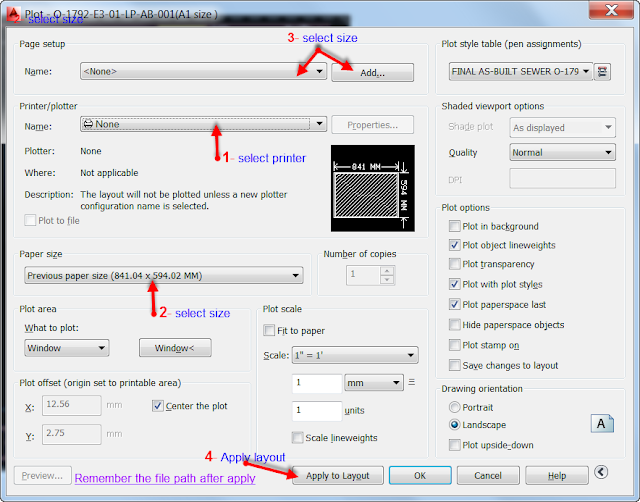 click preview before apply layout to see the area of plot. 2- Open new drawing go to file menu click publish or type in command line ( publish ) then go to add your all drawings you want to print at one time. 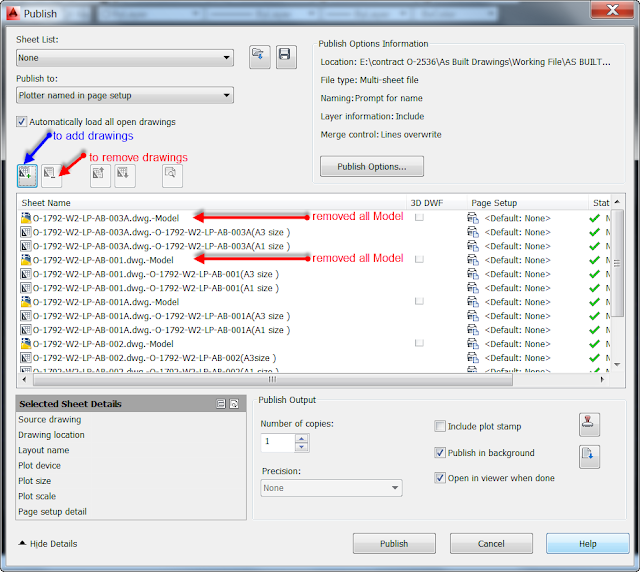 Removed all which is end with Model see photos below how to add and removed. 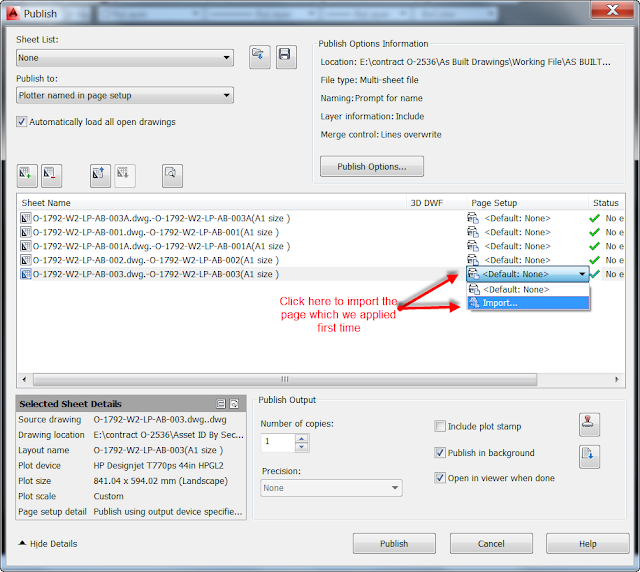 4- Now you can see same as below phots after import the page setup. than clik publish. 5- Save those files for next time use no need setting again. 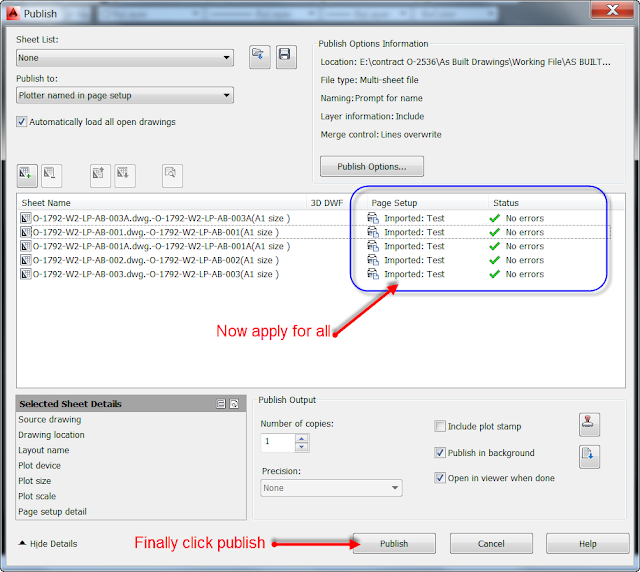 6- Now successfully you print or plot multiple drawings at one time see below photo.